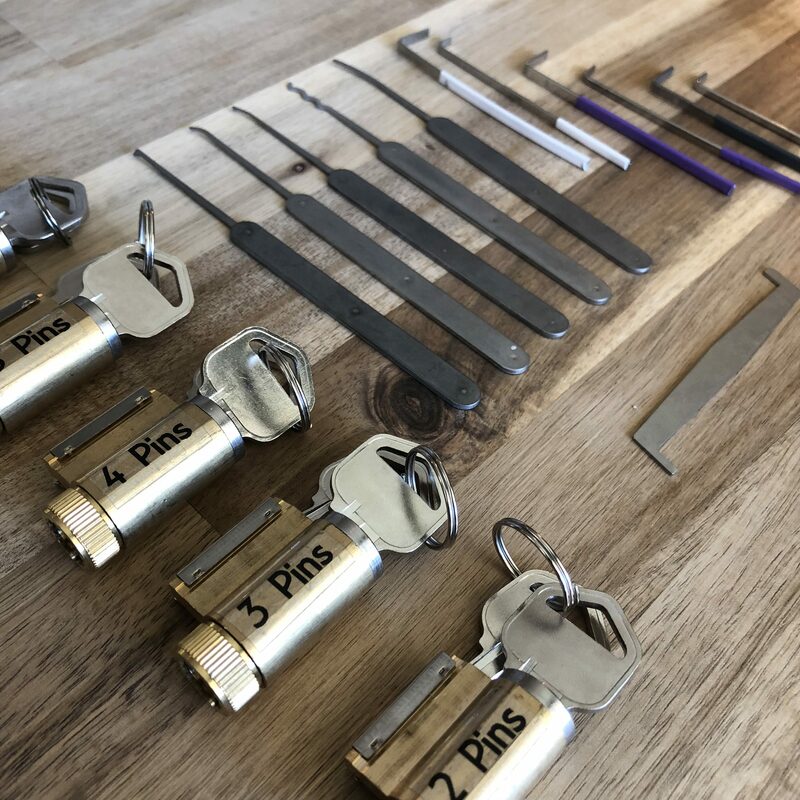 Whether you are all gung-ho about using your very first pick set, or you’re just doing some casual research on the idea of lockpicking, it’s important to know and exercise the Golden Rules of Lockpicking. These rules are a common topic of discussion among lockpickers. If you’ve been to any kind of demonstration or “Lockpick Village,” it’s very likely you’ve heard them before. In this post we’ll not only talk about what the rules are but also the less talked about topics of why these rules exist and why they are so important. The short answer is that they protect you as a lockpicker and they also protect the locksport community. 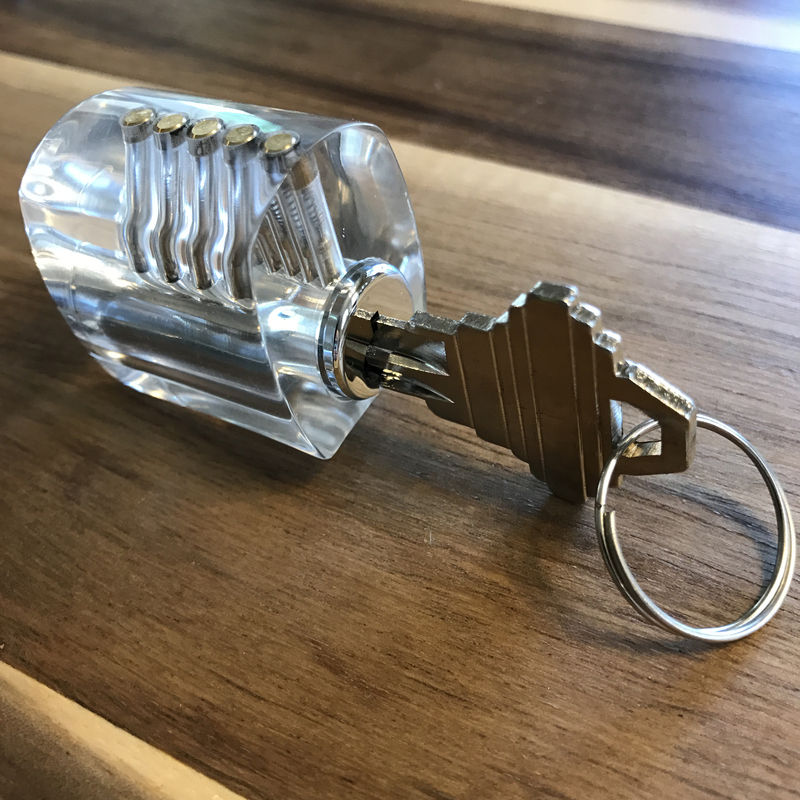 The locksport community is all about ethical and legal lockpicking. The community sees opening locks as an activity similar to working on a mechanical puzzle; it’s merely a mental challenge and exercise. 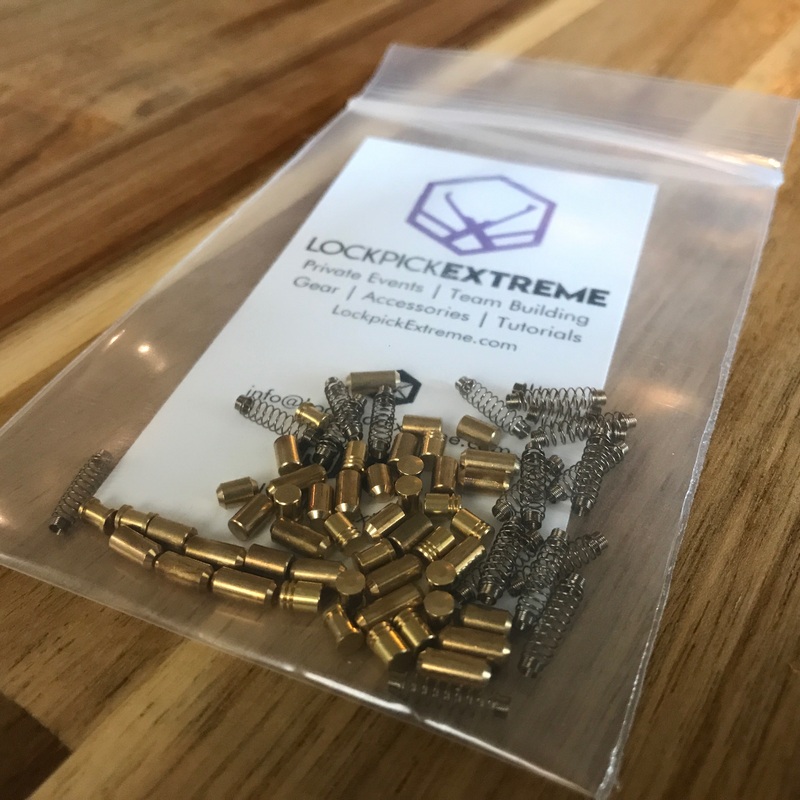 Locksport enthusiasts in no way endorse or tolerates illegal, criminal, or any activity that even seems questionable. 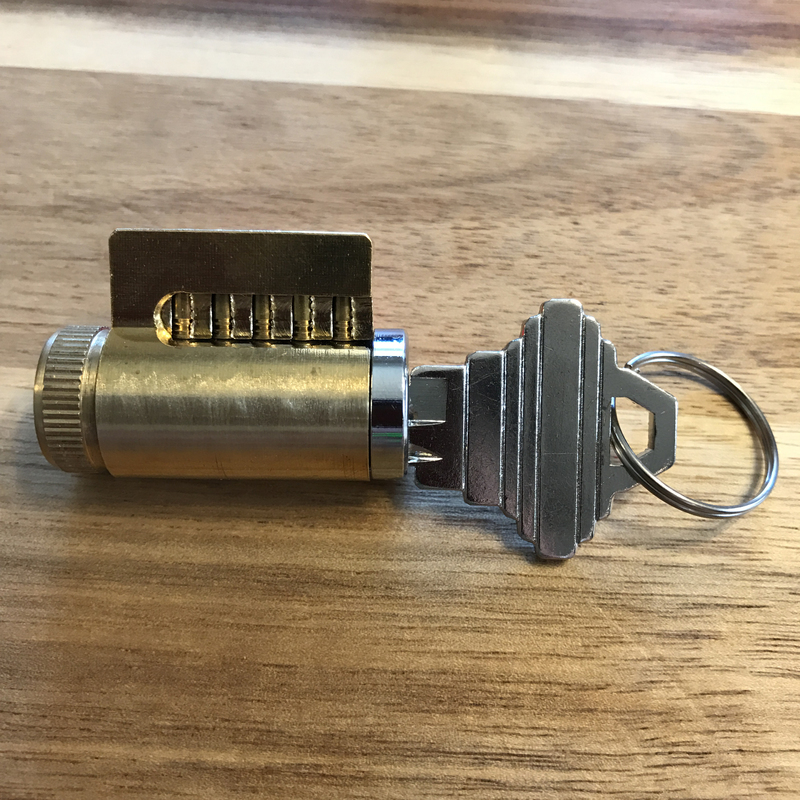 Anything you may learn from someone in the locksport community is generally assumed to be used for education, safety, and in a positive context. These rules are universally accepted in the locksport community as the golden rules to follow in order to keep locksport/lockpicking ethical. Rule 1: never pick a lock that you don’t own or do not have permission to pick. Rule 2: do not pick locks that you rely on or that are in use. Rule 1 is pretty straight forward. It’s your good old fashion, common sense, “stay-out-of-jail” rule. One area that is easy to miss with this rule is if you rent your house or apartment. This is true for any office or any other type of space you may also rent, but somehow this is easier to miss when talk about your living space since it’s so much more personal. While it may be tempting to pick the lock on your front door, you shouldn’t do this if you’re renting your living space. (You actually shouldn’t do this if you DO own your home either, but we’ll talk more about that in a moment.) 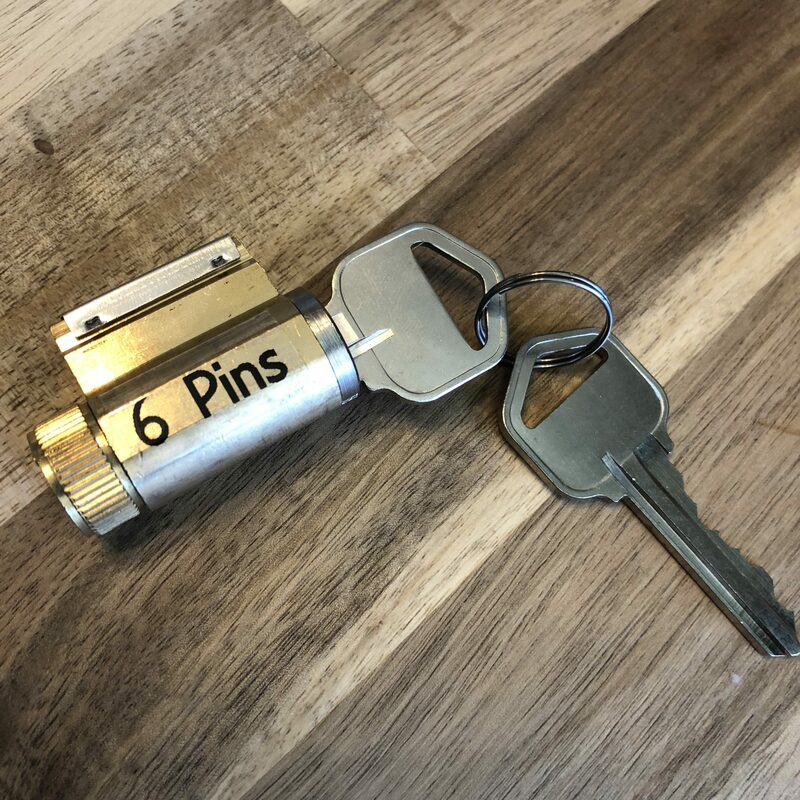 A good way to apply rule 1 is by asking yourself, “if something were to go wrong with this lock, who would pay for the locksmith bill?” If you are renting, it’s your landlord that would pay the bill, and therefore, you don’t own that lock. You have just been granted authorization to use the lock on the front door for the term of your lease. Many people ask more about the reasoning behind rule 2 than rule 1. Rule 2 isn’t as clear, but still has an important purpose behind it. The first reason is that when you’re picking, especially when you’re starting out as a novice, it’s possible to break the lock. This can cause a large inconvenience and possibly an expensive bill from a locksmith. (This would definitely upset your landlord if he’s the one paying for that locksmith bill we talked about above.) This is especially true if you live in an apartment complex or any kind of building that is managed by one entity. It’s very common for these kinds of living spaces, hotels, and motels to use a “master key” system. This kind of system is set up by creating multiple shear lines with additional smaller pins in the pin stacks, called wafers. 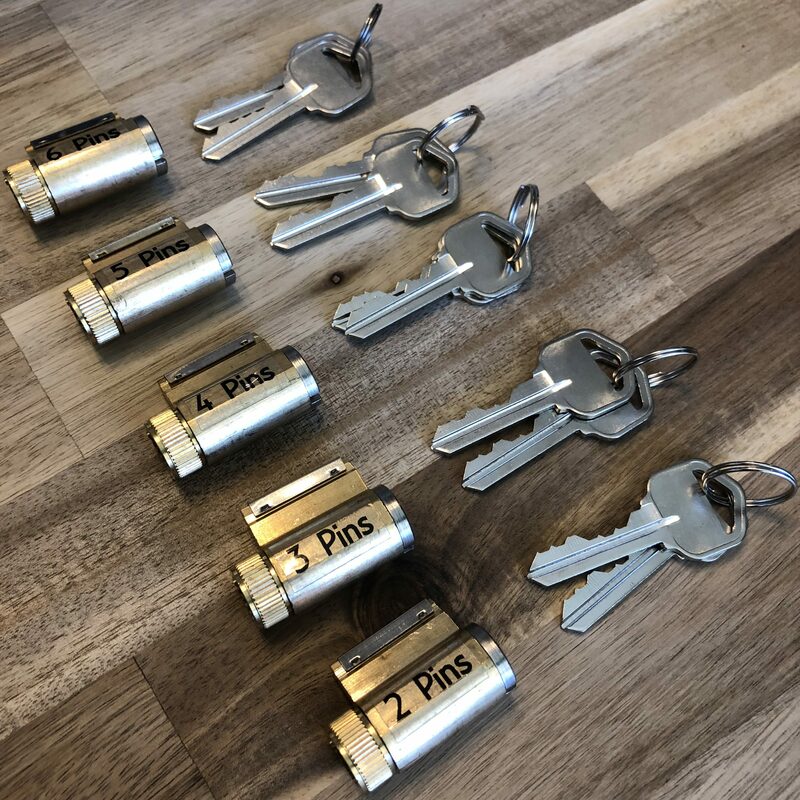 It allows for each unit in the building to have a key for each tenant that will only open that unit, but also allow a landlord or property manager to have one “master key” that will open all of the units. Because this kind of system uses these wafers, it’s a more complex system than a basic lock and can be more likely to break. 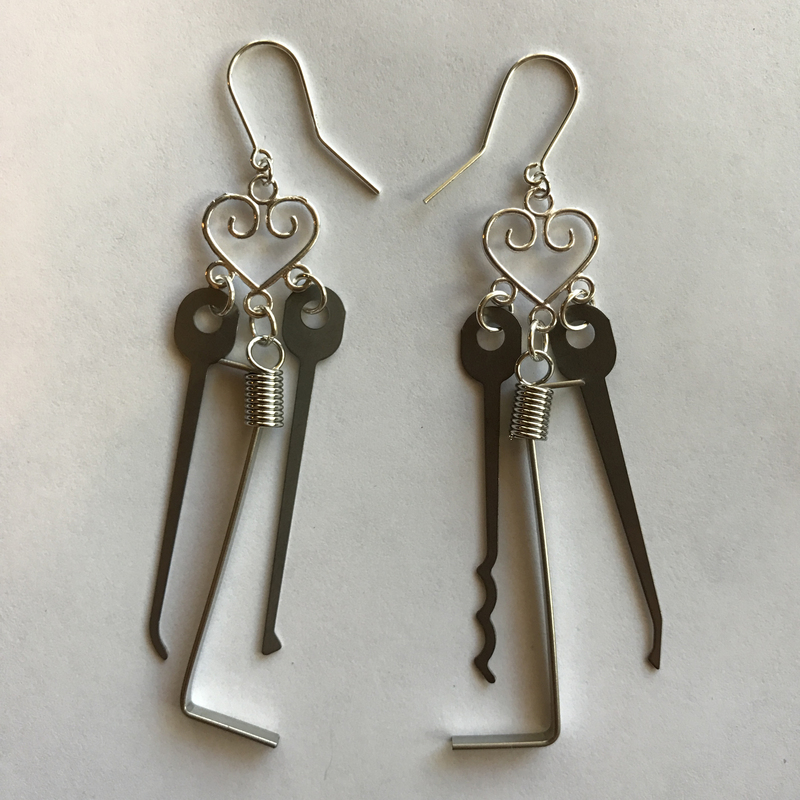 The second reason for rule 2 is that the locksport community can sometimes be unfairly judged or have a negative, illegal, or “underground” connotation from people who don’t fully understand what locksport is all about. Being seen picking your front door by neighbors or opening filing cabinets without a key by your coworkers can send the wrong message about our community. People who pick locks as a hobby are sadly sometimes misunderstood and being a small community, it’s important to protect the image of our passion. Furthermore, being seen doing these things might also send the wrong message about you. If you’re well known around the office for casually opening filing cabinets on your lunch break at work, the moment something goes missing, it can make people unjustly point the finger at you. There are a ton of locks around us and it may be easier than you think to get some practice locks of your own, even for free. Some people find it very hard to resist not breaking these rules (particularly the second one). It can be so tempting to try and pick a lock that people rely on simply because relying on it makes it seem like more of a challenge. Despite the temptation, it is really important that all lockpickers, whether just starting out or a seasoned vet, follow these rules. Of course, we can probably all imagine emergency situations where it would be appropriate to look the other way. Situations such as a baby or child accidentally locked alone in a house is just one example, but it is the responsibility of each lockpicker to use their common sense and personal judgment to determine when a situation is a true emergency. These rules can sometimes seem overwhelming when thinking about how to apply them. 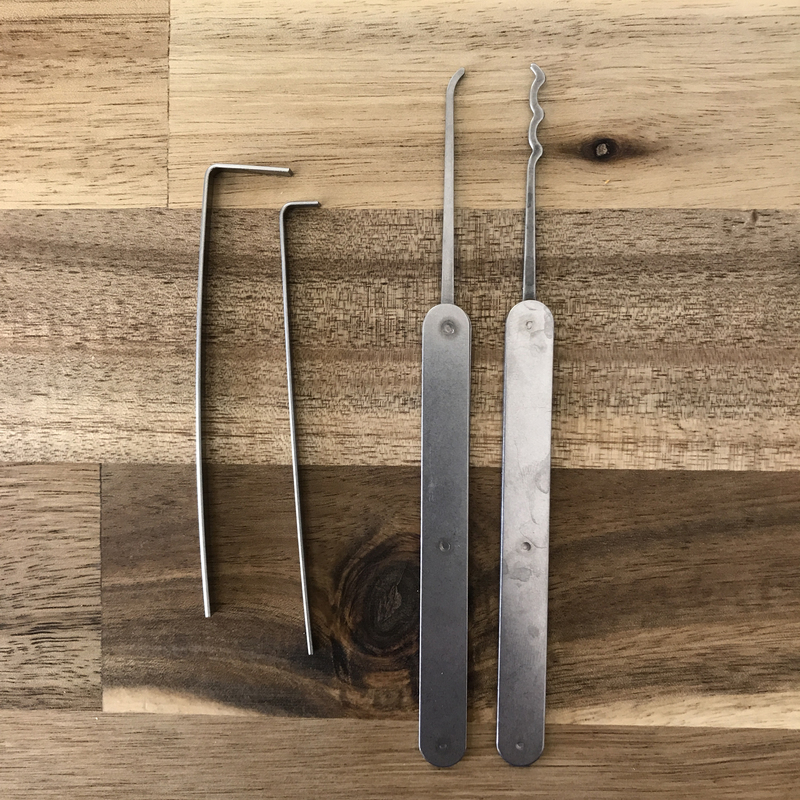 The bottom line is that as long as you are being honest about the hobby and are not committing any crimes with your lock pick set, you shouldn’t have to think about these rules too much. Once you understand the philosophy behind them, they’ll feel like second nature. Stick to your practice locks and enjoy picking!